Article and photographs courtesy of Jesse Knockaert, The Chronicle. 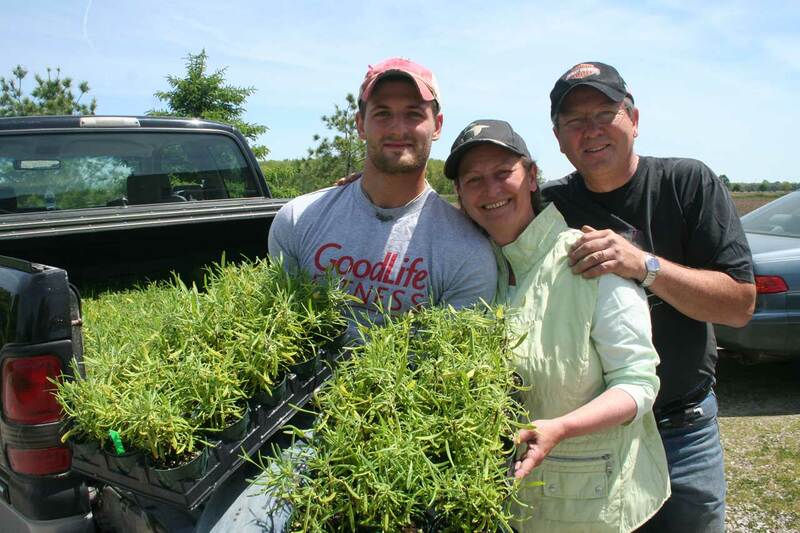 The Andersens, Adam, Pamela and Jesper, are opening a lavender farm in Wallacetown. Planting has begun, and the farm should be ready for business in July. Local agro-tourism may get a boost from a farm for lavender that�s getting started on Ash Line in Wallacetown. Jesper and Pamela Andersen own and operate the farm, along with their son Adam. Planting had begun May 25. The business, which will be called Lavender Sense, should be ready for business in July, depending on weather. People will be able to pick their own lavender, and a shop will be open in the Andersen�s home with lavender products such as lavender oils, aromatherapy products, and scented soy candles. Pamela loves angels, so the shop will include angel themed products such as angel statues and other knick-knacks. Jesper counts local food markets and the West Lorne Arts and Cookery Bank as attractions for agricultural tourism, and he wants to contribute with his own business. Jesper said the inspiration to start this farm started over seven years ago. At the time, he and his wife lived in Asia, where lavender is very popular. The two thought going into the lavender business could be a fun idea. The Andersen�s property is 50 acres of land including forest trails. The Andersen�s hope people will come for the lavender, but also stay and enjoy the countryside. Jesper said they would use organic growing practices; no herbicides or pesticides.